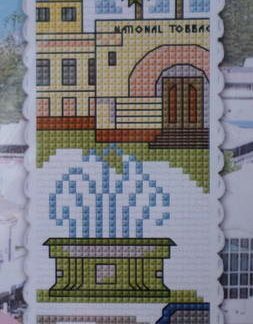 A cross stitch kit made up by StitchNZ of Lavender fields called Spring Landscape. 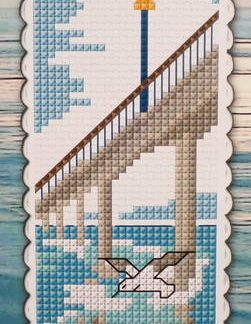 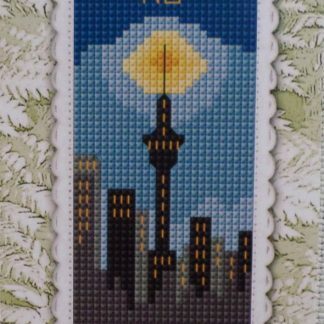 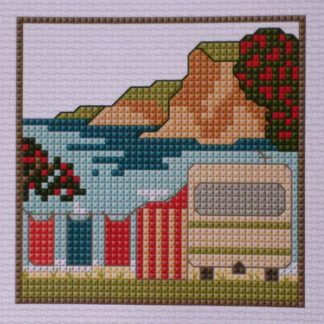 The finished design size is 25 x 15.5 cm and the kit contains 14 count white Aida fabric, the pattern, sorted DMC cotton threads, a needle and instructions. 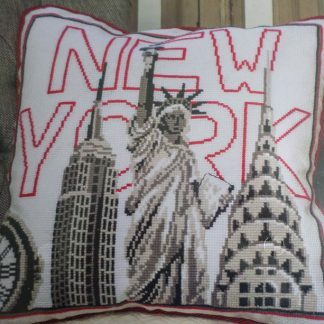 Full stitches only with no back stitch.